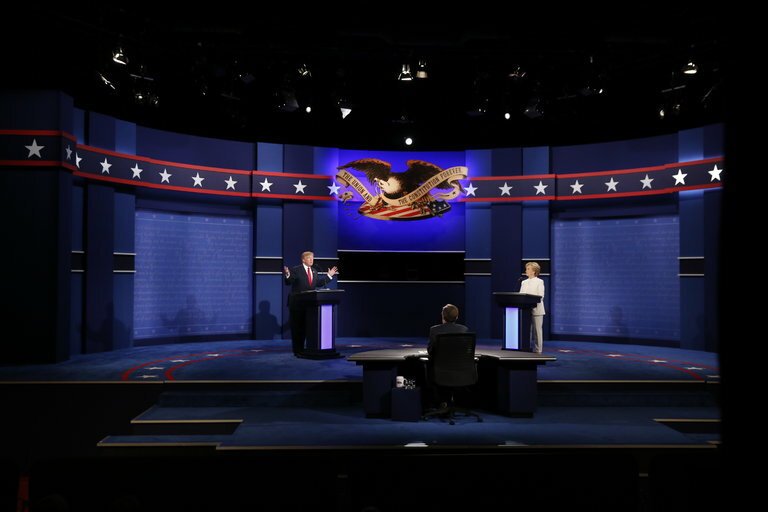 Debate night in America happened again last evening. It was another ugly dogfight on stage for the world to wonder how these two people, out of 300 million Americans wound up as finalists in the Presidential olympics. The debate was, perhaps, the best of the three with issues getting more time than personal attacks. But, the debate still lacked a clear winner. I was left with the realization that both candidates have gaping holes in policy plans and ideas to run the country. Second amendment. Should we return to the wild, wild west or is it possible to legislate the safe, responsible use of guns? Should we have a national right to carry? Strong borders--getting rid of violent people or build a wall. How open should our border be? should be deport illegal immigrants even though it will cost taxpayers a bundle of money? Supreme court. How do we want the future court to work? Which candidate has the best concept of the Constitution and how the Supreme Court can protect it. Frankly, I was dismayed by both candidates' approaches. Abortion--right to choice? Pro-life? This issue has continued for years and the discussions were designed to appeal to the base supporters for each candidates. There wasn't nothing new here. Russia? Encourage espionage against Americans or defend our networks? Nuclear balance? There was a lot of finger pointing and this is a dangerous issue that was not properly nor adequately addresses. Expanding the economy through jobs programs. Raise the minimum wage? Women equal pay. Increasing access to college. Taxes and jobs. Raise taxes or lower taxes? Stimulate the economy? Shipping jobs overseas? Buying steel from overseas and not supporting American workers. Fitness to be President of the U.S. The continuing abuse of women issue versus the email controversy. The problems associated with the Clinton Foundation. Is the election rigged? Corrupt media, outdated voter roles, candidates with potentially criminal charges. Whining before the vote. I think the President's remarks were right on. Don't start whining before the vote. Moving in Syria against ISIS. The constant claim that ISIS was created by one of the candidates scares me because it demonstrates a profound lack of foreign policy understanding. All-in-all, this was a much better debate.